Chula Vista occupies an interesting position sandwiched between San Diego and the California-Mexico border. You can access both downtown San Diego and Tijuana from just about any part of Chula Vista in thirty minutes. Meanwhile, the cost of living is much more affordable than San Diego, so your chances of finding a cheap apartment for rent in an easily commutable location is high. If you are planning on moving to Chula Vista and are unsure what area to move to, the city is separated very easily into two distinct types of neighborhoods. East of the 805 is where you will find the nicest neighborhoods such as Otay Ranch and Eastlake. These are the type of master-planned communities that offer that ideal type of suburban living that puts you close enough to San Diego’s urban core so commuting isn’t unbearable, but far enough so that you aren’t stuck in the city. These communities have an obvious family-focus with highly rated and reviewed public and private schools the further east you go from the 805 as well as all sorts of community events, sports leagues, and shopping centers. That’s not to say that all you can do is buy east of the 805. There are many houses and homes for rents available as well as luxury apartments, too. However, the prices increase the further east you go, so if you want a studio apartment with all bills paid, try looking on the other side of the 805 in Chula Vista’s city center with an apartment guide. Chula Vista’s downtown is not quite an up-and-coming neighborhood yet, but offers the amenities and pace of a small city with the beach just down the street. Chula Vista serves as a great location for those that need scenic escapes into the natural world. The ocean is obvious with some of the most beautiful and sandiest beaches making their way down the coast to the border. Also, there’s the Living Coast Discovery Center which is on the 6 acre Sweetwater March National wildlife refuge. Here, you can witness Chula Vista’s wildlife in its natural state. Meanwhile, on the eastern side is the Otay Ranch Preserve which includes over 11,000 acres designated to providing space to preserve, protect, and enhance wildlife and the habitat. 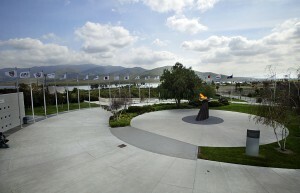 One of the city’s unique quirks is that it is home to the U.S. Olympic Training Center. The center was built in 1995 and was designed from the ground-up to be a master training facility for U.S. Olympians. It’s technically outside of the town’s borders, but Imperial Beach is worth considering if you want to be near Chula Vista. The beach town is very inexpensive when compared to San Diego’s beach towns like Mission Beach and Ocean Beach as well as less touristy, less crowded, pet friendly and more community-focused. Housing in Imperial Beach ranges from mid-rise apartments for rent, to larger apartment communities, though demand is high. So, it’s best to use an apartment finder for your apartment search to locate the best deals and available apartments especially for harder to find options like apartments with utilities included. RentLingo is your trusted apartment finder in Chula Vista. We hire local experts, such as former property managers and locators to anonymously tour and consistently rate and review every available place. They share their honest and unbiased perspective with you, so you know how every rental ranks in the area. Because our experts tour every property, we can offer consistent apartment ratings across every region. So unlike finding a Backpage or Craigslist rental, you can trust these apartments are verified and trustworthy: whether it's a cheap studio or a one bedroom with all utilities paid all the way up to a nice house for rent or a luxury condo.